I've been told more than once that beer reviews should be added to this blog. While I don't consider myself an expert on beer, I have consumed more than my fair share over the years. 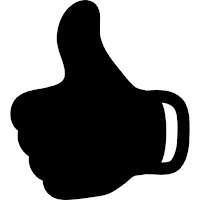 With that, I'm not going to rate them other than a "thumbs up" or "thumbs down" and pass along what I find. With any luck you will find this information useful. This was a very nice beer. It poured out a nearly transparent amber color with a thin, white head and a big, slightly hoppy, citrus aroma that really pops. 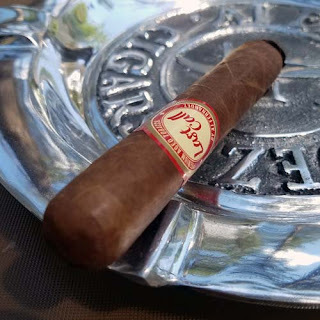 The mouthfeel was a well balanced light and bright with a sweetness underneath that nearly cancels out the bitterness. Flavor wise, you can actually taste the sweet grapefruit and there's a nice slightly bitter grapefruit aftertaste that hangs around until the next sip. 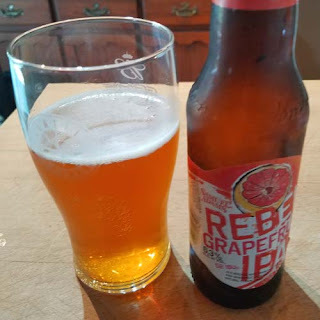 Overall I found the Samuel Adams Rebel Grapefruit IPA to be clean and refreshing, near perfect summer beer for my palate.